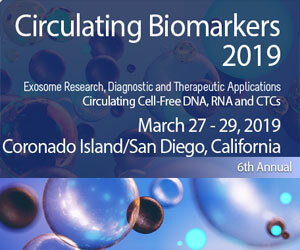 Clinical implementation of exosome based diagnostic and therapeutic applications is still limited by the lack of standardized technologies that integrate efficient isolation of exosomes with comprehensive detection of relevant biomarkers. 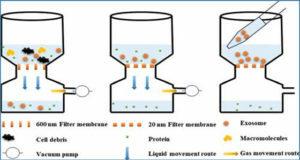 Conventional methods for exosome isolation based on their physical properties such as size and density (filtration, ultracentrifugation or density gradient), or relying on their differential solubility (chemical precipitation) are established primarily for processing of cell supernatants and later adjusted to complex biological samples such as plasma. 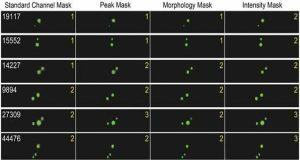 Though still representing gold standard in the field, these methods are clearly suboptimal for processing of routine clinical samples and have intrinsic limits that impair their use in biomarker discovery and development of novel diagnostics. 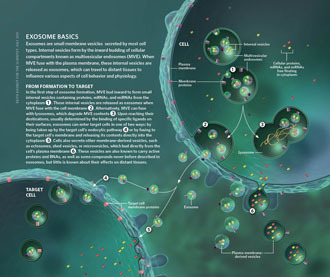 Immunoisolation (IA) offers unique advantages for the recovery of exosomes from complex and viscous fluids, in terms of increased efficiency and specificity of exosome capture, integrity and selective origin of isolated vesicles. 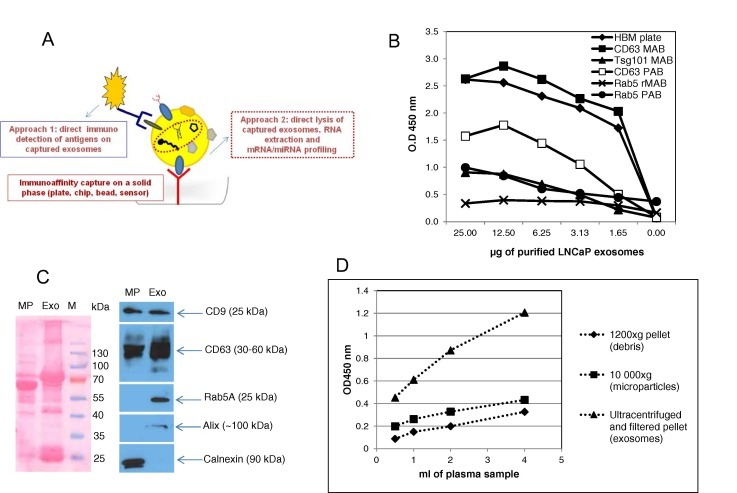 Scientists at Exosomics Siena have evaluated several commercially available solutions for immunoplate- and immunobead-based affinity isolation and have further optimized protocols to decrease non-specific binding due to exosomes complexity and matrix contaminants. In order to identify best molecular targets for total exosome capture from diverse biological sources, as well as for selective enrichment in populations of interest (e.g. 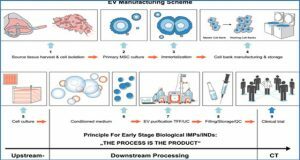 tumor derived exosomes) several exosome displayed proteins and respective antibodies have been evaluated for plate and bead functionalisation. 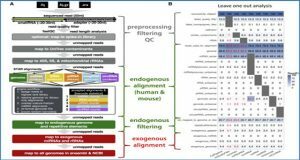 Moreover, they have optimized and directly implemented downstream steps allowing on-line quantification and characterization of bound exosome markers, namely proteins and RNAs. Thus assembled assays enabled rapid overall quantification and validation of specific exosome associated targets in/on plasma exosomes, with multifold increased yield and enrichment ratio over benchmarking technologies. Assays directly coupling selective immobilization of exosomes to a solid phase and their immune- and or molecular profiling through conventional ELISA and PCR analysis, resulted in easy-to-elaborate, quantitative readouts, with high low-end sensitivity and dynamic range, low costs and hands-on time, minimal sample handling and downscaling of a working plasma volumes to as few as 100μl. 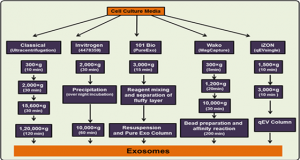 Optimization of tools for specific exosome immunoisolation. 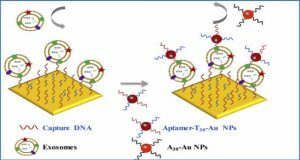 The scheme of a double sandwich assay for targeted capture and identification of exosomal biomolecules. 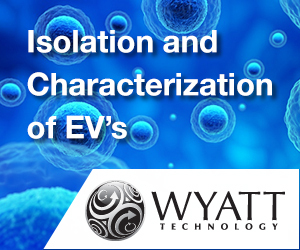 Once exosomes are captured on a solid phase either direct immunodetection of target proteins can be performed, or captured exosomes can be lysed and overall associated RNA extracted for further analysis of mRNAs and miRNAs of interest (A). 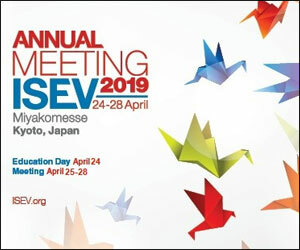 Comparative screening of exosome tags and relevant antibodies for identification of best capturing agent for recovery of overall exosome population from the sample. Linear dilutions of purified exosomes are loaded on precoated plates (B). Coating antibodies are used at previously determined plate saturation concentrations (up to 1 μg/ml) and CD63 detection used for bound exosome quantification. 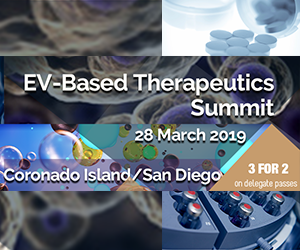 The effective enrichment of acknowledged exosome proteins – CD9, CD63 and Rab5 in exosomes (exo) and microvesicles (MV) pellets obtained by differential (ultra) centrifugation was analyzed in Western Blot (C) and ELISA (D). Ponceau staining shows total amount of material in different fractions. Exosomes, MV and debris pellets loaded onto the microplate (HBM) were obtained through differential centrifugation from healthy donor plasma, starting from sample volume in a 0.5–4 ml range, resuspended in 100 μl of PBS and loaded onto the plate (D). 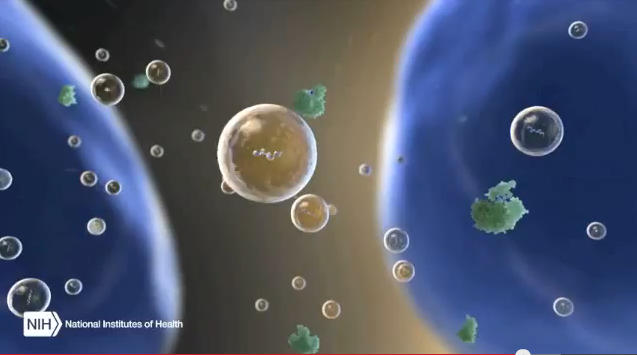 sub-cellular therapies, particularly exosomes, in the Philippines.